AND a very awesome UofU FOOTBALL! Hat: UofU; Sweatshirt: UofU; Football: UofU; Pants: CAMO! 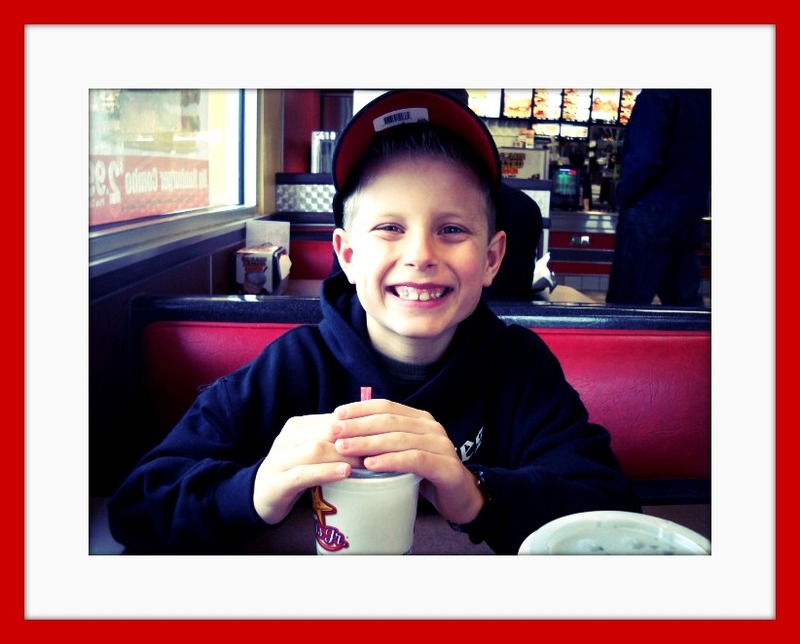 Of course, chicken strips, French fries, and root beer can bring on smiles and laughter, too. ESPECIALLY if you’re with FUNNY Grandpa and CRAZY Grandma! 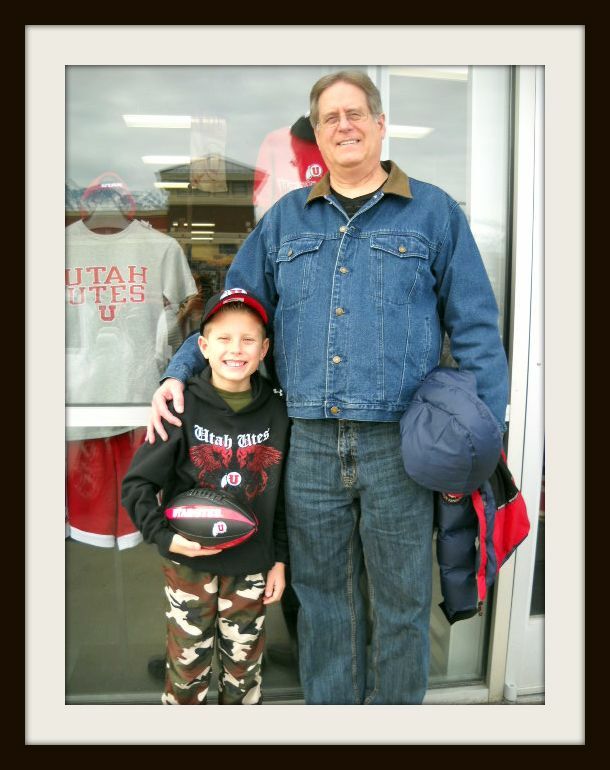 Categories: ... my family life ... | Tags: Christmas, Football Fan, Grandpas, Grandsons, postaweek2011, University of Utah Football | Permalink. Oh but they are! So MUCH dang fun! Love ’em to pieces!!! Mr. Spencer has learned a valuable lesson. Good things come to those who (have to) wait. I’m glad things worked out so well for him and you.